Taipei, Jan. 21 (CNA) The government will begin the constructionof an advanced technology development park in Nantou County, centralTaiwan, as soon as the plan passes an environmental impact assessmentcurrently underway, the head of the Central Taiwan Science ParkManagement Administration said Friday. Once completed, the park will house 250 research and developmentunits, including the state-funded Industrial Technology ResearchInstitute and the Institute of Information Industry, providing some13,000 new jobs, according to Yang Wen-ke. He also said that no manufacturing activities will be conductedin the park, which is designed to serve the research and developmentof emerging and advanced industrial technology. 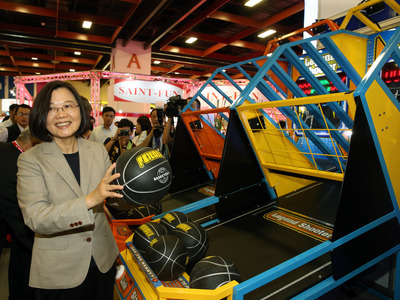 The park will be built in Jhongsing New Village, the seat of theTaiwan Provincial Government, for an estimated cost of NT$10.7billion (US$367.45 million). It will encompass 275 hectares of land, which will be dividedinto three sections -- a leading tech research and development zone,a strategic tech research and development zone and a dormitory zonefor researchers.